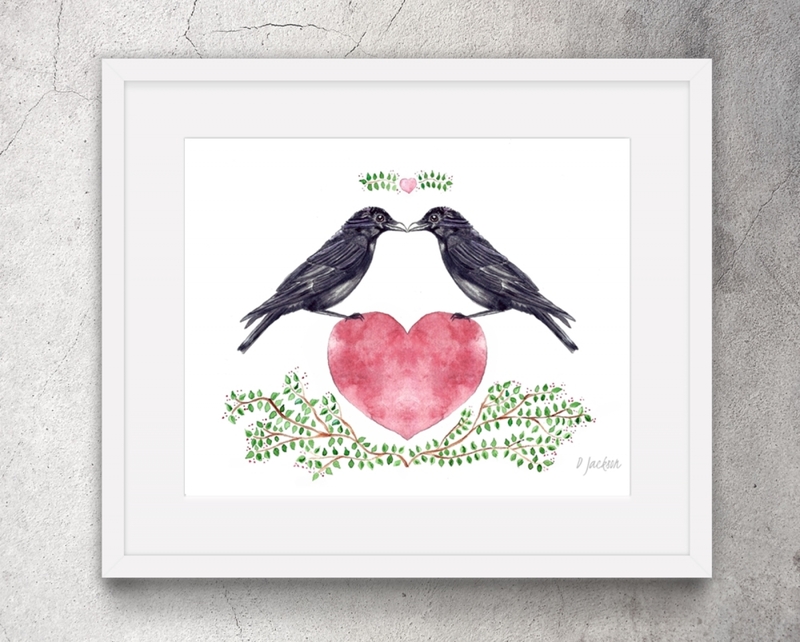 Crows Heart Watercolor Art Print from my Original Painting. 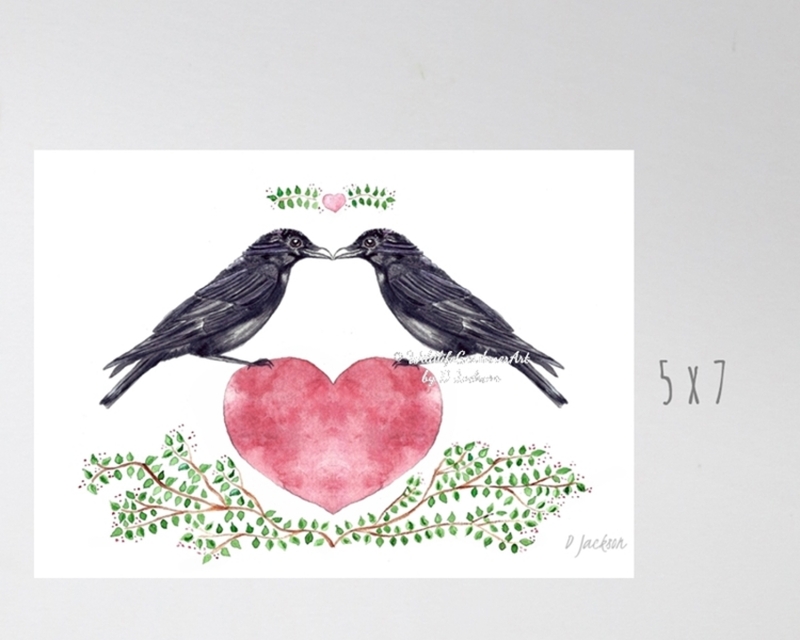 Crows mate for life so were a good subject to paint over the symbol of love. In addition to being very intelligent, Crows have a long history in symbolism, as a spirit or totem animal, representing creativity, magic and life's adventures. 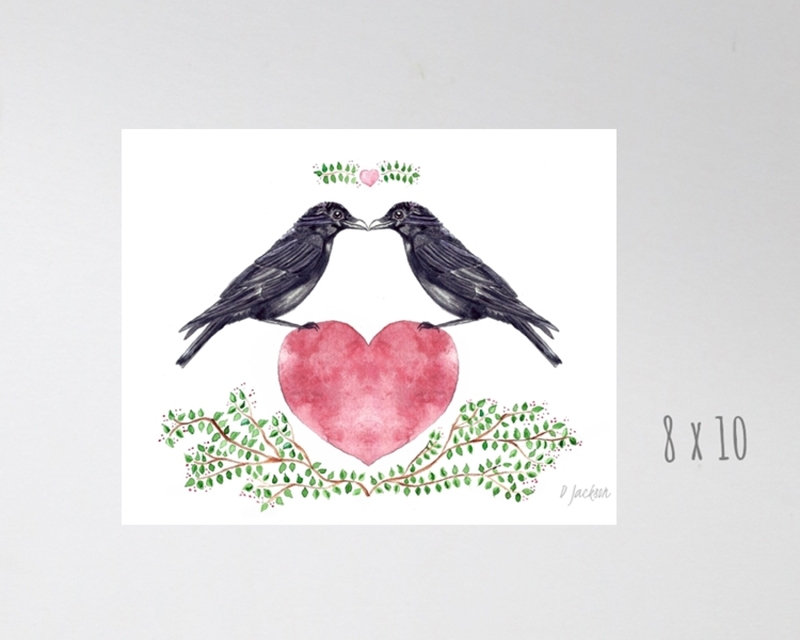 This print would be a great gift for your partner - the one you share life's adventures with. 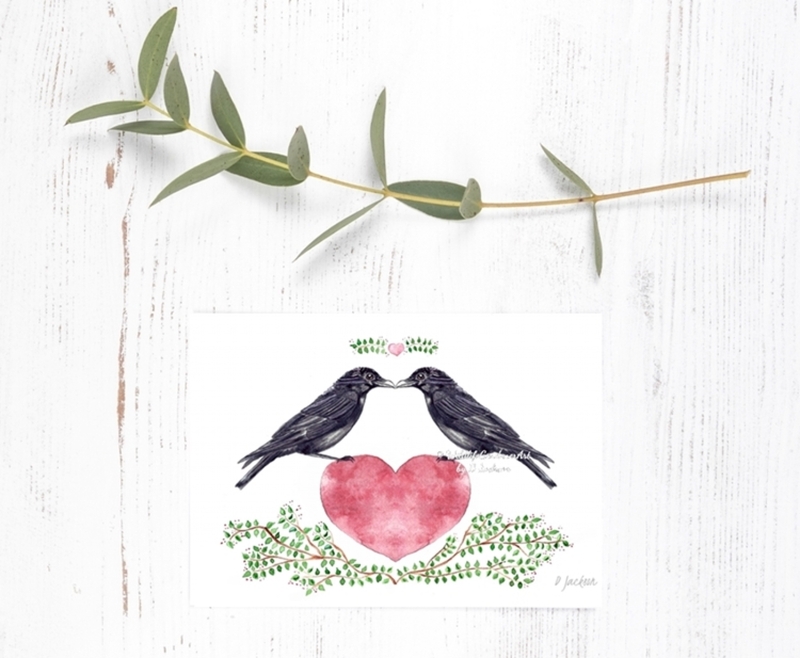 Perfect for 1st Anniversary (paper) or any time you'd like to celebrate love. If you'd like a short personalized message in the heart please contact me and I'm happy to help.